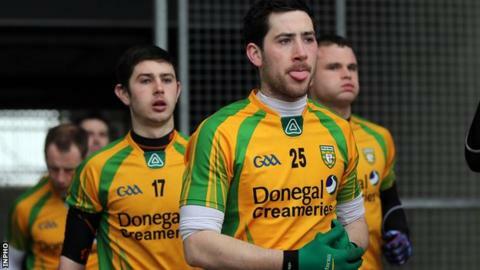 Mark McHugh has denied a fallout with the Donegal management was the reason behind his shock decision to quit the county's senior football squad. The 2012 All-Ireland winner claimed he walked away last month because he simply was not enjoying his football. "It wasn't a decision I made overnight," he told Newstalk Radio. "It's not that I've fallen out with anybody, I wasn't enjoying life or my football, so there was just no point me being there." The Kilcar forward said he will travel to Celtic Park on 25 May to support Jim McGuinness' team, which includes his younger brother Ryan, for their Ulster championship quarter-final against Derry. He also indicated he could return to the squad next year. "I still love Donegal," he said. "I just made a decision on my own behalf, talked to people that I trust and I made the decision. "When you're not enjoying it and it's not a job, and you're not being paid for it, then you do question why you're doing it. "I wasn't enjoying it and just felt I needed a break at the moment and I will look at it again next year."